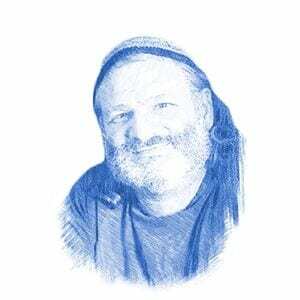 Is the Temple Mount Disappearing Before Our Eyes? - Breaking Israel News | Latest News. Biblical Perspective. Before the eyes of the world, the most contested site in the Middle East has quietly been rearranged by those who most benefit from a shifting of historical and religious narrative: Palestinian Arabs. The Dome of the Rock and the al-Aqsa Mosque, two buildings that are at the center of furious international debate and spates of violence, have traded places in plain sight, and no one seems to have noticed. The world is familiar with the image of the golden dome, which has turned into a symbol of Palestinian national identity through a fraud so seamless that it has gone virtually undetected. The recent wave of violence in Israel rallies behind cries of ‘al-Aqsa’ and images of the Dome of the Rock. In truth, however, the focus of all this fervor – the gold dome – is not al Aqsa at all. The gold dome is called Qubbat al-Sakhrah, or the Dome of the Rock. 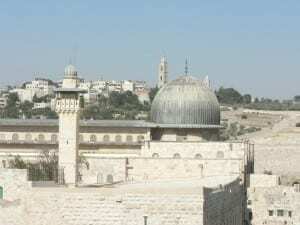 Al-Aqsa is the innocuous silver dome located a few hundred meters to the south. Al-Aqsa is a mosque, a place of prayer. It is the place to which Muslims claim Muhammad was transported overnight from Mecca on a magical creature called al Buraq al Sharif. Muslims do not pray in the golden Dome of the Rock – the so-called “al-Aqsa Mosque”. It is a shrine to the rock inside, which was the site of the Holy of Holies in the Jewish Temple. The Palestinian fraud has spread throughout the Arab world. This symbol of the Dome of the Rock has been taken up as a battle cry against Israel. A chilling video released in August depicted the Iranian army capturing the Temple Mount with a glowing gold dome, and in November, thousands of Iranian soldiers participated in a military exercise that simulated capturing a life-sized plastic replica of the Dome of the Rock, making it undeniably clear that Tehran has set its gunsights on Jerusalem. In other words, rather than focusing on sovereignty over their own mosque, Muslims are now fighting for possession of the Jewish Temple and the Jewish God in an attempt to delegitimize the Jewish rights to the Mount. Remarkably, this was predicted in the Zohar, a book of Jewish mysticism based on Biblical commentary. It is written in the Zohar that in the sixth cycle of 1000 years, the “Sons of Ishmael” (Arabs) will make war against the Messiah, and will “come and bow down before God at the holy mountain in Jerusalem”. The Zohar specifically uses the name of the God of the Jews, and not a generic term or the expression used for non-Jewish worship. The northern branch of the Islamic movement, banned by the Israeli government in 2015, campaigns against any Palestinian concessions to Israel, and organized harassment of Jews on the Temple Mount. Photographs taken of the Temple Mount in the early 20th century demonstrate clearly that the Temple Mount was insignificant to Muslims for most of its history. The compound was in a state of complete disrepair. The Dome of the Rock, which only received its gold coating in 1993, was neglected. The Temple Mount compound is a trapezoidal area, 37 acres in size. In Biblical times, the Jewish Temples stood where the Dome of the Rock stands today. After offering up his son Isaac as a sacrifice, Abraham named the site “the mount where the LORD is seen” (בְּהַר יְהוָה יֵרָאֶה). The Palestinian Authority claims that Jewish extremists want to change the status quo on the Mount. In fact, the status quo has changed – but very much in their favor. In the 1967 Six-Day War, Israel conquered the Temple Mount from Jordan. The Israeli flag flew over the Temple Mount for just a few hours before Moshe Dayan, chief of staff of the IDF at the time, made an agreement with the Waqf, the Muslim religious authority, giving them supervisory rights over the Temple Mount compound. Few are aware that Jews were permitted access to the Temple Mount and all of the buildings in the compound, including al-Aqsa Mosque and the Dome of the Rock, until 2000. However, the status quo changed sharply at the onset of the Second Intifada, when non-Muslims were forbidden from entering the buildings. In November of 2014, the PA referred to the entire Temple Mount compound as al Aqsa when they announced that the Israeli police were “storming al Aqsa”. The Waqf announcement was picked up by the media, even though it was actually a reference to police entering the Temple Mount compound. The police did not enter the mosque, and it was the first time Israeli security had entered the compound since it was conquered by the IDF in 1967. They did so in reaction to increasing violence against Jewish visitors. Not only has the international community accepted the sudden change in terminology without comment, but it has actually endorsed the new version of history. In October, UNESCO passed a PA resolution that declared the entire Temple Mount, as well as other Jewish holy sites, sacred to Islam.